How Does Drive-by-Wire Technology Work? Drive-by-wire is a catch-all term that can refer to a number of electronic systems that take either augment or completely replace traditional mechanical controls. Instead of using cables, hydraulic pressure, and other ways of providing a driver with direct, physical control over the speed or direction of a vehicle, drive-by-wire technology uses electronic controls to activate the brakes, control the steering, and operate other systems. The most common form of x-by-wire technology and the easiest to find in the wild is electronic throttle control. Unlike traditional throttle controls that couple the gas pedal to the throttle with a mechanical cable, these systems use a series of electronic sensors and actuators. Vehicles with computerized fuel controls have used throttle sensors for decades. These sensors essentially just tell the computer the position of the throttle. The throttle itself is still activated by a physical cable. In vehicles that use true electronic throttle control (ETC), there is no physical connection between the gas pedal and the throttle. Instead, the gas pedal sends a signal that causes an electromechanical actuator to open the throttle. This is often seen as the safest type of drive-by-wire technology, as it is exceedingly easy to implement this kind of system with a fool-proof fail-safe design. In the same way that the throttle will simply close if a mechanical throttle cable brakes and the vehicle will naturally slow down and stop, electronic throttle control systems can be designed so that the throttle closes if it is no longer receiving a signal from the pedal sensor. Brake-by-wire technology is often seen as more dangerous than electronic throttle control since it involves removing any physical connection between the driver and the brakes. However, brake-by-wire is actually a spectrum of technologies that range from electro-hydraulic to electromechanical, and both can be designed with fail-safes in mind. Traditional hydraulic brakes make use of a master cylinder and several slave cylinders. When the driver pushes down on the brake pedal, it physically applies pressure to the master cylinder. In most cases, that pressure is amplified by a vacuum or hydraulic brake booster. The pressure is then transmitted via brake lines to the brake calipers or wheel cylinders. Anti-lock brake systems were early precursors of modern brake-by-wire technologies, in that they allowed the brakes of a vehicle to be pulled automatically with no driver input. This is accomplished by an electronic actuator that activates the existing hydraulic brakes, and a number of other safety technologies have been built on this foundation. Electronic stability control, traction control, and automatic braking systems all depend on ABS and are peripherally related to brake-by-wire technology. In vehicles that use electro-hydraulic brake-by-wire technology, the calipers located in each wheel are still hydraulically activated. However, they are not directly coupled to a master cylinder that is activated by pushing on the brake pedal. Instead, pushing on the brake pedal activates a sensor or series of sensors. The control unit then determines how much braking force is required at each wheel and activates the hydraulic calipers as needed. In electromechanical brake systems, there is no hydraulic component at all. These true brake-by-wire systems still use sensors to determine how much brake force is required, but that force is not transmitted via hydraulics. Instead, electromechanical actuators are used to activate the brakes located in each wheel. Most vehicles use a rack and pinion unit or worm and sector steering gear that is physically connected to the steering wheel. When the steering wheel is rotated, the rack and pinion unit or steering box also turns. A rack and pinion unit can then apply torque to the ball joints via tie rods, and a steering box will typically move the steering linkage via a pitman's arm. In vehicles that are equipped with steer-by-wire technology, there is no physical connection between the steering wheel and the tires. In fact, steer-by-wire systems don’t technically need to use steering wheels at all. When a steering wheel is used, some type of steering feel emulator is typically used to provide the driver with feedback. What Vehicles Already Have Drive-by-Wire Technology? There are no fully drive-by-wire production vehicles, but a number of manufacturers have built concept vehicles that fit the description. General Motors demonstrated a drive-by-wire system in 2003 with its Hy-Wire concept, and Mazda’s Ryuga concept also used the technology in 2007. Drive-by-wire can be found in equipment like tractors and forklifts, but even cars and trucks that feature electronic power steering still have physical steering linkage. Safety concerns have slowed the adoption of drive-by-wire technologies. Mechanical systems can and do fail, but regulatory authorities still see them as being more reliable than electronic systems. Drive-by-wire systems are also more expensive than mechanical controls due to the fact that they are significantly more complex. However, the future of drive-by-wire technology could lead to a number of interesting developments. The removal of mechanical controls could allow automakers to design vehicles that are radically different from the cars and trucks that are on the road today. Concept cars like the Hy-Wire have even allowed the seating configuration to be moved around since there are no mechanical controls that dictate the position of the driver. Drive-by-wire technology could also be integrated with driverless car technology, which would allow vehicles to be operated remotely or by a computer. 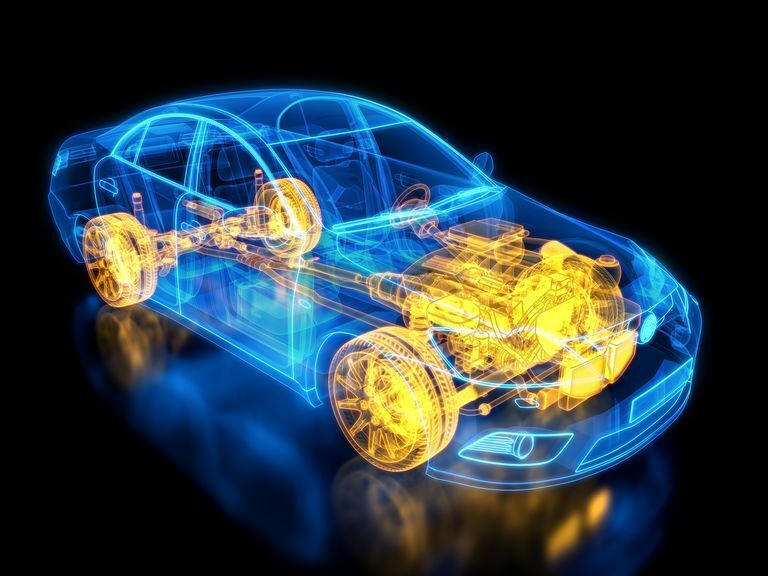 Current driverless car projects use electromechanical actuators to control steering, braking, and acceleration, which could be simplified by connecting directly to drive-by-wire technology.